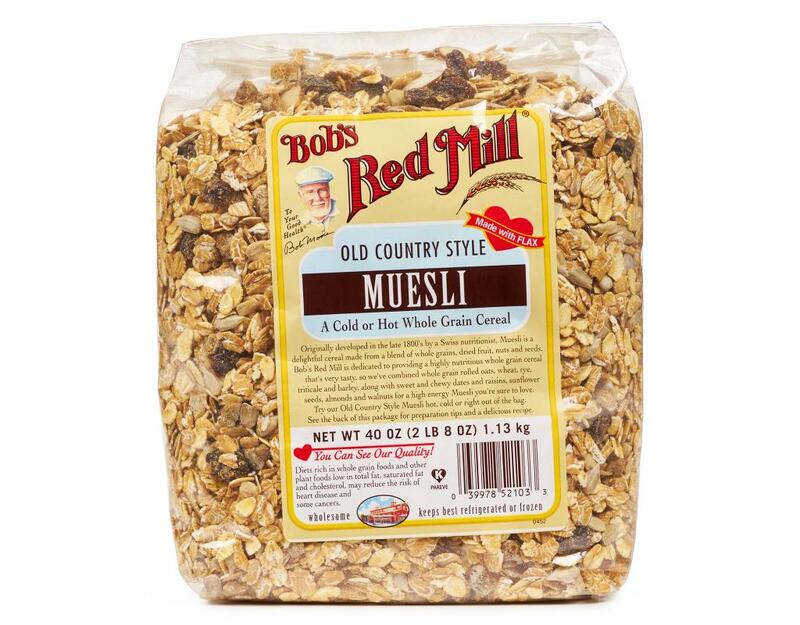 Muesli was originally developed by Dr. Maximilian Bircher-Benner, a Swiss nutritionist at the end of the 19th century, and it remains one of the world’s most popular cereals. 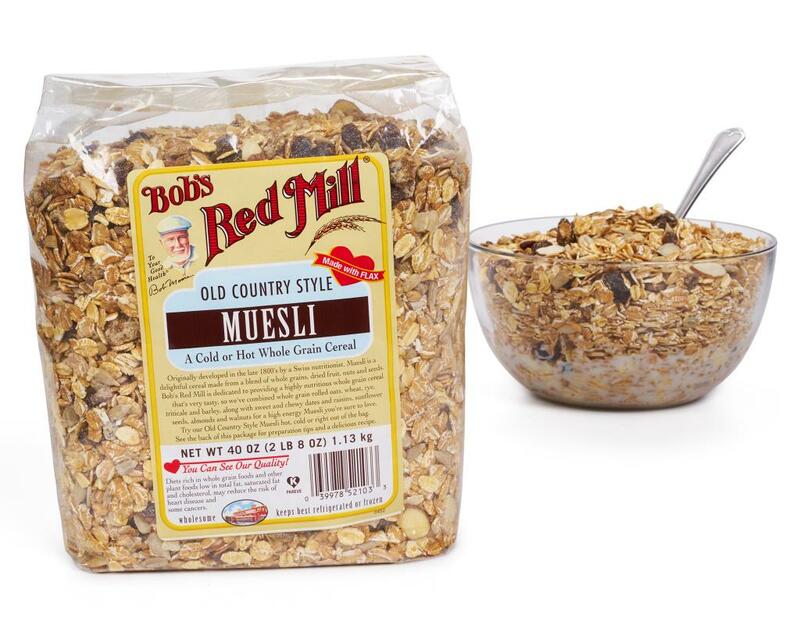 Dr. Bircher-Benner was ahead of his time in understanding that food is the best medicine, but he also knew that it simply wouldn’t be eaten if it wasn’t delicious. 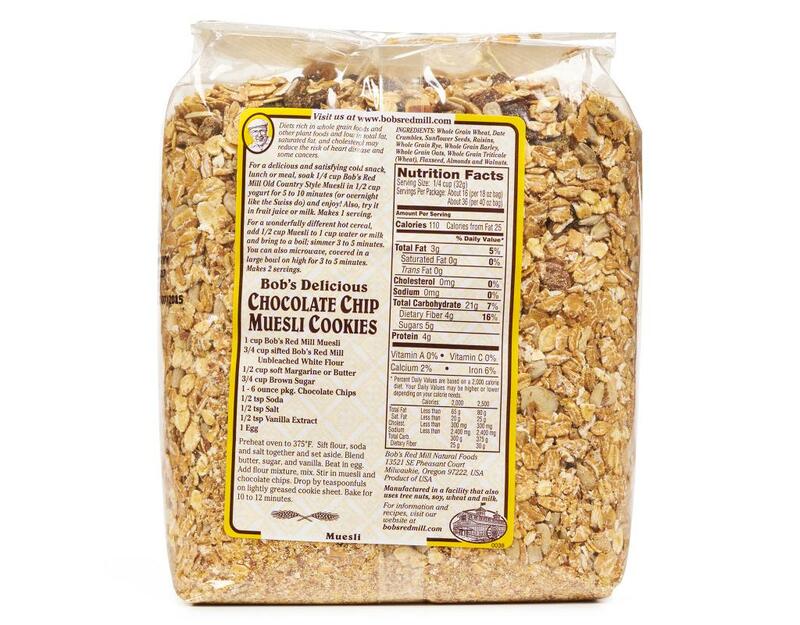 With those facts firmly in mind, he created an irresistible but healthy mélange of grain, fruit and nuts that his patients devoured joyfully on their way to wellness. 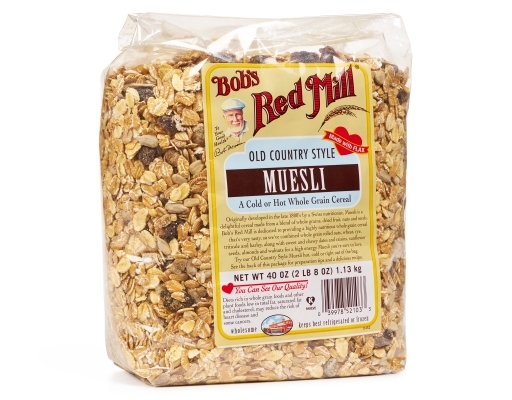 Bob's fantastic Old Country Style Muesli is a tasty blend of whole grain rolled oats, wheat, rye, and triticale, as well as barley flakes, almond slivers, date crumbles, raisins, sunflower seeds and walnuts. 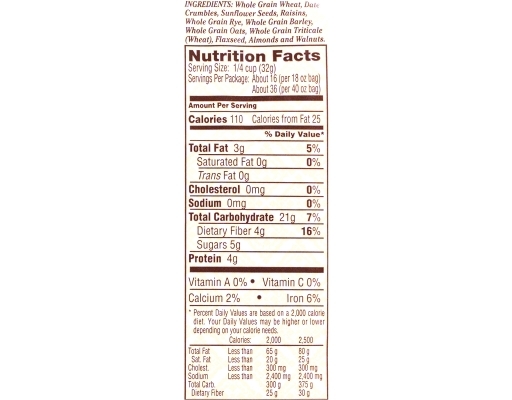 The end result is a highly nutritious and sustaining whole grain cereal that’s addictively tasty to boot! This muesli is made with wholesome ingredients, offering you food as nature intended it to be. 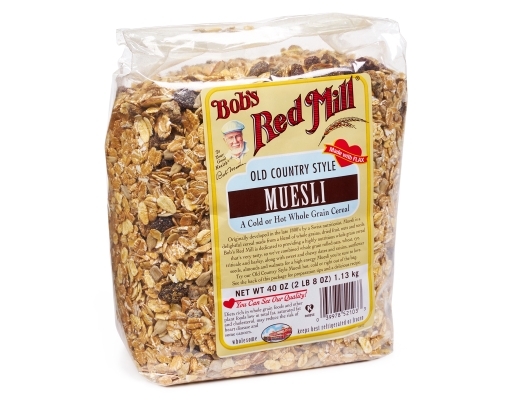 And since it’s made with whole grains, it provides valuable fiber. 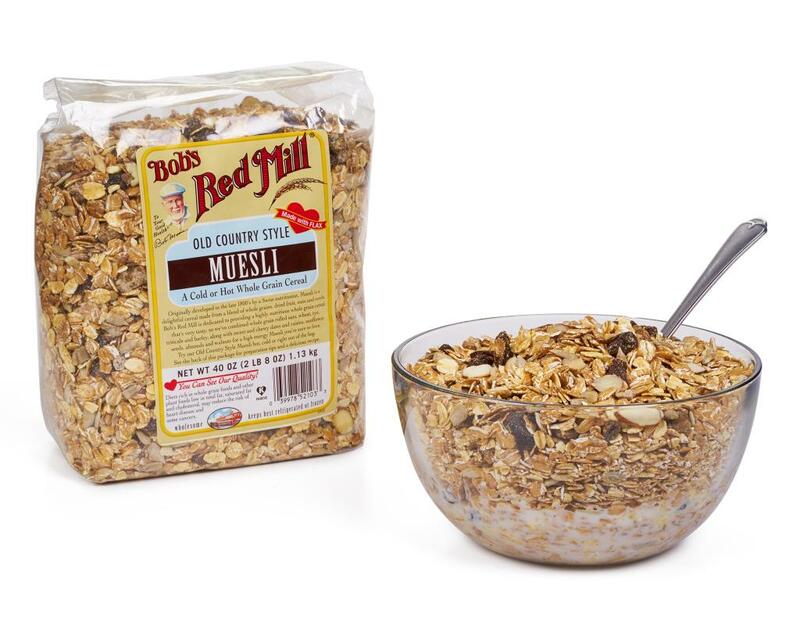 By starting off your day with a hearty serving of whole grains, you’ll get the best start possible by staying full all morning! Here are some great ways you can add this satisfying cereal to your diet. Try it for breakfast heated like porridge or pour milk or apple juice over it and serve it up as a cold cereal. 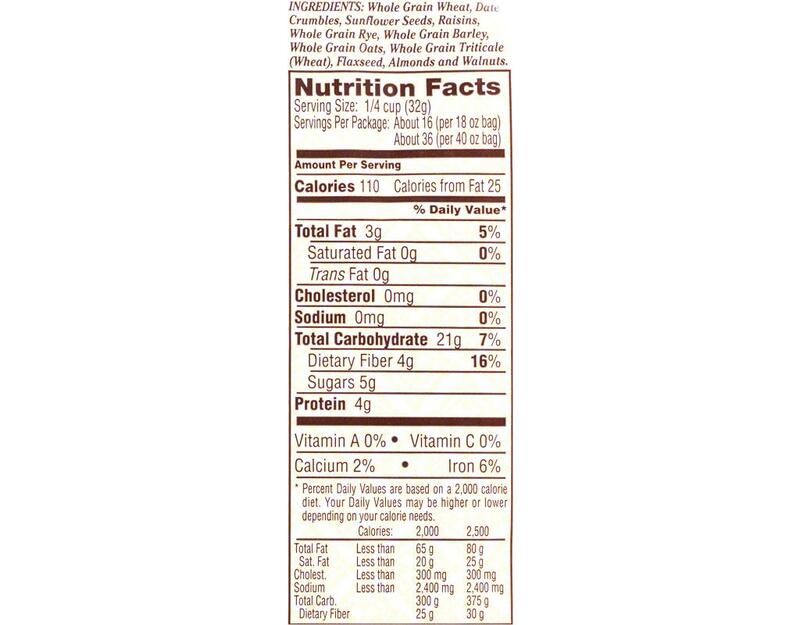 Try sprinkling in some hemp seeds or chia seeds for added texture and nutrition. Mix in some fresh berries or other fruit with yogurt or eat it raw—both make a great snack. 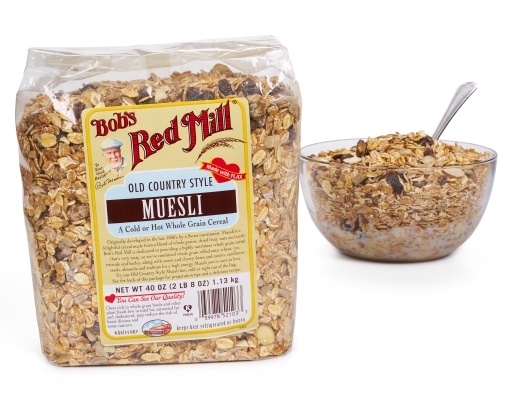 Muesli can also be used in cookies, muffins and pancakes.